Elon Musk has shared the official first photo of his SpaceX space suit on Instagram, teasing that more details will come in a few days. Musk says the suit actually works, and was tested to double vacuum pressure. The suit itself is very white and very spacey, and Musk acknowledges that it was “incredibly hard” to balance the suit’s look and its function. 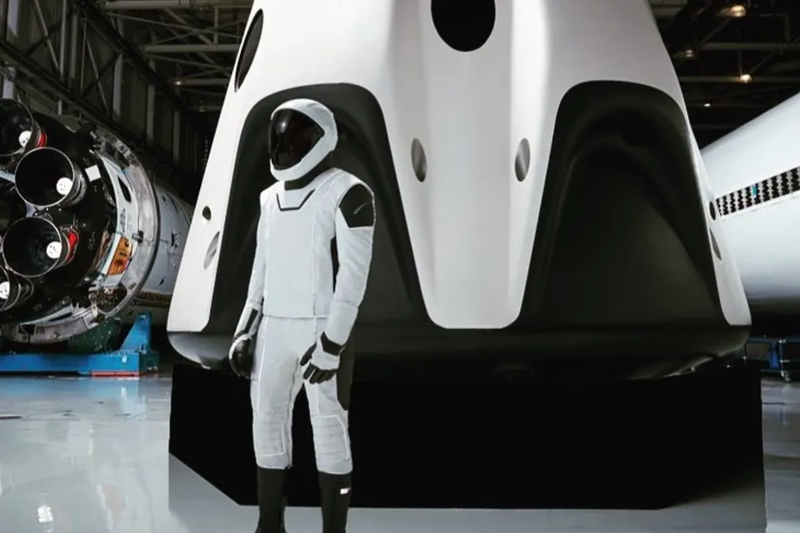 Musk didn’t specify, but the SpaceX suits are meant to be worn by astronauts when riding inside the company’s Dragon Capsule. They’re pressure suits, so they’re not meant for spacewalks, but are worn by astronauts during transport in case the capsule depressurizes. The suits will be worn by NASA astronauts for the commercial crew program when SpaceX starts launching people to and from the International Space Station. In January, Boeing revealed its own spacesuit design that astronauts will wear on route to the ISS. The reveal today is similar to photos of a SpaceX suit that surfaced years ago on reddit. The design is very elegant and feels right at home in a sci-fi flick, while simultaneously paying homage to the old school suits NASA astronauts wore to the Moon. We compiled a list of science fiction spacesuits from worst to best, though in my opinion, this real SpaceX suit tops the list of best.